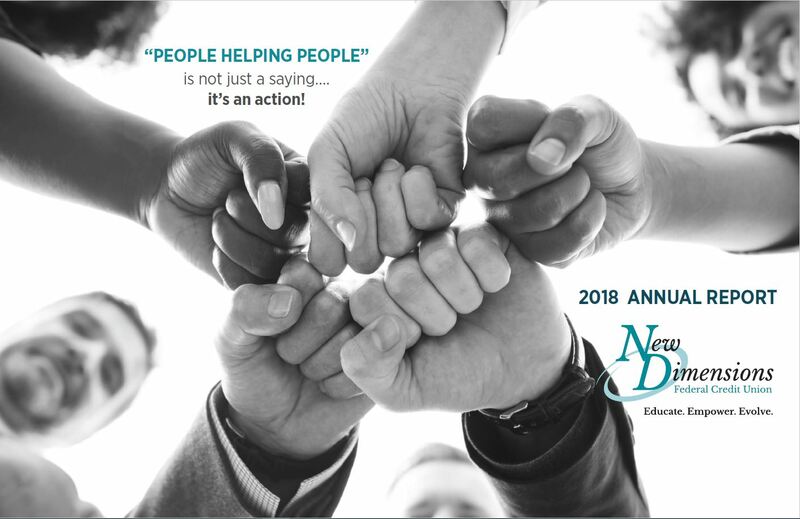 New Dimensions FCU Publishes its 2018 Annual Report! As we reflect on the past year there is one word that sums it up for us, “Evolve,” which is an appropriate word, as it is part of our mission tagline Educate. Empower. Evolve. 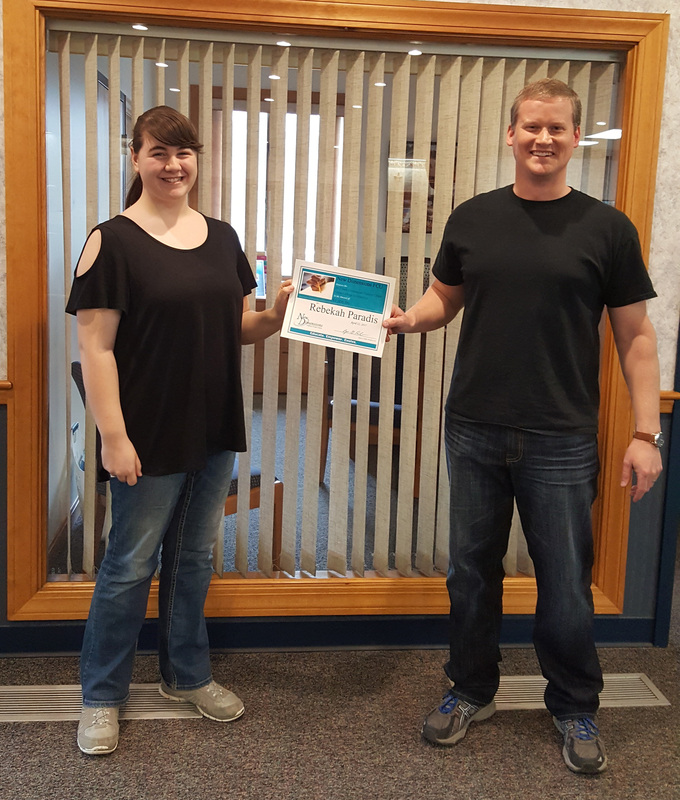 A lot was accomplished this past year with a merger where Taconnet Federal Credit Union joined with our credit union and the expansion of new products and services for our members were at the top of the list. This consolidation allowed us to maintain a strong balance sheet, income statement and capital position all while providing a low to no cost fee structure with competitive rates on loans and savings. We continue to expand our product and service offerings so we will be able to meet all the financial needs of our members. With the completion of the merger, I am happy to report that, overall, things went very smoothly. Change and transition are difficult and even with all the planning and trying to anticipate the unknown, there were some bumps and challenges along the way, and we would like to thank the members and staff for their patience and support during this transition. When combining two organizations there are certainly challenges, but we marveled in the opportunities and we were grateful when members came forward to express their concerns so that we could work through them. We are humbled by the amount of positive feedback and support that we have received from our members who let us know how pleased they were with the merger. We will continue to work hard for our members by meeting their financial needs by partnering with them throughout their financial journeys. As some of you may know, last year we purchased a plot of land on Silver Street with plans to start construction of a new main office in the spring of 2019. The plan is to maintain our Grove Street location as a back-office operations center while opening a more convenient location for our branch operations on Silver Street. With the tremendous growth that we have experienced over the past five years, we have outgrown our current location in which we have been housed since 1987. The board and management felt it was necessary for our main office to remain in our original charter area, just a few blocks from where our credit union first began in the mid-1950s. This new location will also provide more visibility and accessibility than our current location. We anticipate an early 2020 opening for the new branch and could not be more excited about it. The tremendous growth and success we’ve experienced are owed to You, our members, as without you our credit union would not be as successful as it is today. Every decision we make is always made with our members best interest in mind. There are things about 2018 that we are saddened to share with you and that is the passing of one of our founding fathers of the credit union, Earl R. Rancourt, our first President/CEO, and Honorary Director. We will never forget the passion, dedication, and vision that he had brought to our credit union and its members in the times when it was needed most, and we will carry on the credit union philosophy of “People Helping People” in the years to come. Our condolences to his wife Annette, who worked alongside him for many years; and to his family for the support that they provided him while he worked so tirelessly for the credit union. On behalf of the entire board of directors and staff, we wish to thank you for your business, your patience through this transition, and for your continued trust and support of your credit union. We wish you all prosperity and good health in the years to come. Get a printable version of our 2018 Annual Report Here! 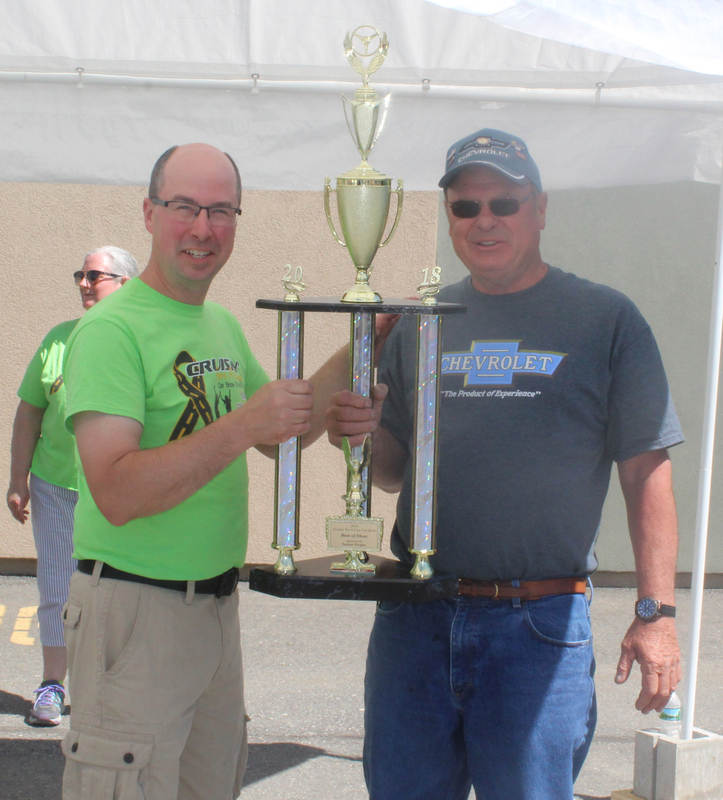 NDFCU’s 5th Annual Cruisin’ For A Cure Car Show, a Success! 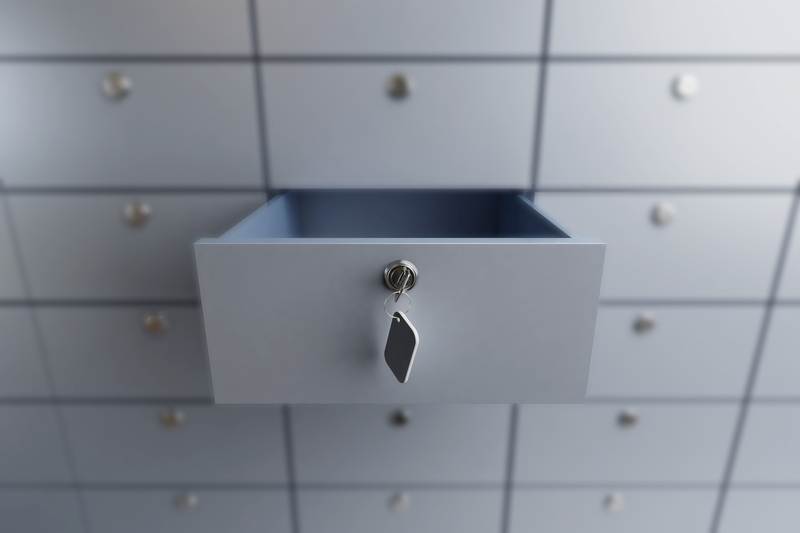 Safe Deposit Boxes Are a Good Idea!